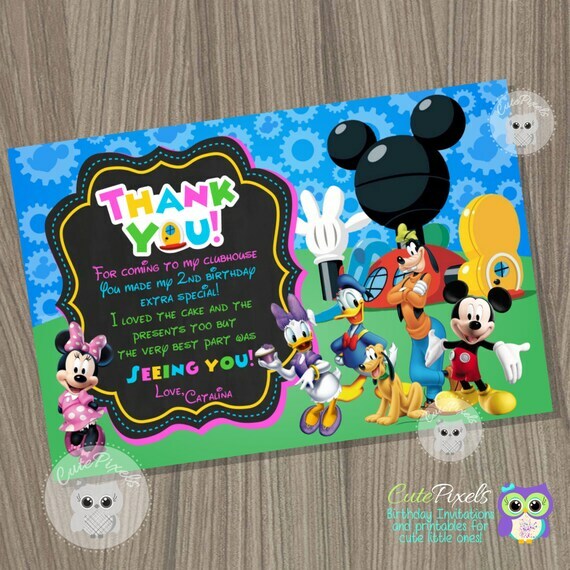 Minnie Mouse Thank You Card, Minnie Mouse Birthday, Mickey Mouse Clubhouse Party, Minnie Mouse, Clubhouse by CutePixels. ☀ This listing is for a Thank You Card you will receive as a digital file (JPEG) for you to print or send by mail. ☀ It comes as shown on photos, personalized with your details and wording. For design modifications, bleed lines, different size or any special request please ask before ordering. 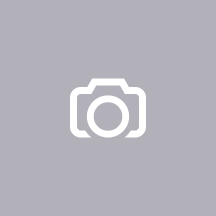 ☀ A photo can be added at no extra charge if design allows it. ☀ It can be made for two names/ages if design allows it. εїз HOW DO I ORDER? 1. Choose size and add this listing to your cart. You can also add other items from my shop within the same purchase. ☀ I will copy from your notes so please don’t use all caps if you don’t want them on design. εїз SO I ORDERED IT... WHAT COMES NEXT? ☀If you want a photo to be added please send it to cute_pixels@outlook.com, make sure it has a good resolution. ☀You review it and let me know any changes you need. You are allowed to up to four (4) revision rounds before I send you the final file. Once it has been sent all changes have an extra charge. ☀Final file will be sent to your Etsy email address, unless you ask for a different one. ☀File is for personal use only. ☀All files are saved for 14days, and then will be erased and no changes will be available. ☀Colors may vary between screen and printed product in any digital file. ☀All character images belong to their owner. You pay for my creative and personalizing services. Feel free to contact me for additional information or requests!